Business intelligence (BI) leverages software and services to transform data into actionable intelligence that informs an organization’s strategic and tactical business decisions. BI tools access and analyze data sets and present analytical findings in reports, summaries, dashboards, graphs, charts and maps to provide users with detailed intelligence about the state of the business. How does BI differ from BA? Business intelligence is also called descriptive analytics, in that it describes a past or current state. “It doesn’t tell you what to do; it tells you what was and what is,” says Michael F. Gorman, professor of operations management and decision science at the University of Dayton in Ohio. Compare that explanation of BI with the definition for business analytics (BA), a technology-aided process by which software analyzes data to predict what will happen (predictive analytics) or what could happen by taking a certain approach (prescriptive analytics). BA is also sometimes called advanced analytics. Although business intelligence does not tell business users what to do or what will happen if they take a certain course, neither is BI only about generating reports. Rather, BI offers a way for people to examine data to understand trends and derive insights. “So many people in the business need data to do their jobs better,” says Chris Hagans, vice president of operations for WCI Consulting, a consultancy focused on BI. Hagans points out that business intelligence tools streamline the effort people need to search for, merge and query data to obtain information they need to make good business decisions. For example, a company that wants to better manage its supply chain needs BI capabilities to determine where delays are happening and where variabilities exist within the shipping process, Hagans says. That company could also use its BI capabilities to discover which products are most commonly delayed or which modes of transportation are most often involved in delays. The potential use cases for BI extend beyond the typical business performance metrics of improved sales and reduced costs, saysCindi Howson, research vice president at Gartner, an IT research and advisory firm. She points to the Columbus, Ohio, school system and its success using BI tools to examine numerous data points — from attendance rates to student performance — to improve student learning and high school graduate rates. Organizations today can choose from a robust list of vendors offering BI tools. Gartner identifies nearly two dozen BI and analytics vendors in its 2017 Magic Quadrant report, listing Microsoft, Qlik and Tableau as leaders. Other BI tools vendors include Information Builders, Sisense and Zoomdata. Organizations chose a BI platform based on various factors, including the size and complexity of their operations as well as what type of technology they already have (i.e. IBM, Oracle, SAS, SAP — all of which offer BI tools), Hagans says. In the past, IT professionals had been the primary users of BI applications. However, BI tools have evolved to be more intuitive and user-friendly, enabling a large number of users across a variety of organizational domains to tap the tools. Gartner’s Howson differentiates two types of BI. The first is traditional or classic BI, where IT professionals use in-house transactional data to generate reports. The second is modern BI, where business users interact with agile, intuitive systems to analyze data more quickly. Howson explains that organizations generally opt for classic BI for certain types of reporting, such as regulatory or financial reports, where accuracy is paramount and the questions and data sets used are standard and predicable. Organizations typically use modern BI tools when business users need insight into quickly changing dynamics, such as marketing events, in which being fast is valued over getting the data 100 percent right. But while solid business intelligence is essential to making strategic business decisions, many organizations struggle to implement effective BI strategies, thanks to poor data practices, tactical mistakes and more. Software vendors are reacting to the organizational demand for multiple capabilities — classic and modern BI as well as descriptive and predictive — by re-engineering their products to include multiple functionalities within their platforms, Howson says. 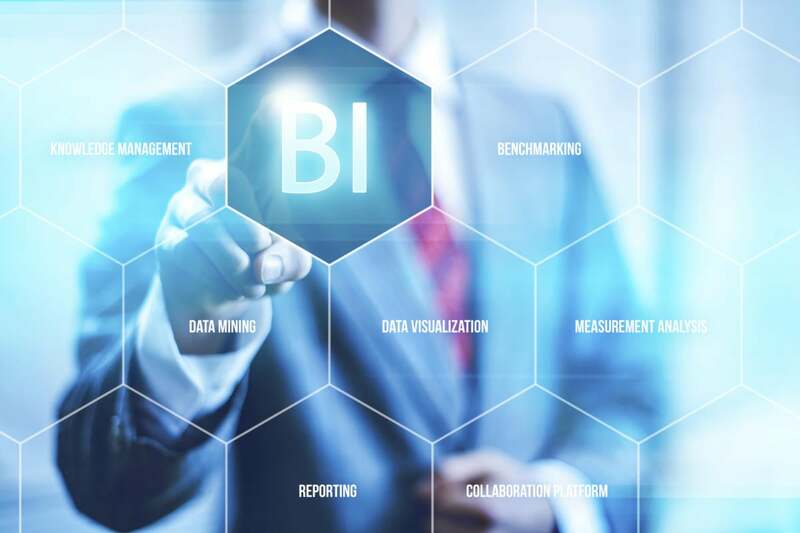 However, Hagans says IT still plays a vital role around BI in many organizations, even in workplaces where IT has enabled self-service BI for business users. IT still has to set and manage policies, governance and enablement around the data and access to it as well as continually work with users to ensure the BI tools are delivering the insights they seek. Although much of today’s hype is around big data and advanced analytics (as well as the next step up: artificial intelligence and machine learning), BI is still relevant for multiple reasons. First, experts say that many organizations still struggle with how to wrangle their data and leverage BI tools to their full potential. As a result, University of Dayton’s Gorman says most organizations tend to have pockets of BI capabilities rather than an enterprise-wide platform. “You might have an executive dashboard that gives something like prices by region and another executive using a BI tool that gives vendor performance,” he says. So these organizations remain focused on fine-tuning and then maximizing their BI initiatives before moving up to more advanced analytics capabilities. Gorman says that’s one reason why the market for BI tools is still growing, as organizations continue to add capabilities in different functional areas to meet growing demand. According to its Global Business Intelligence Market 2016-2020 report, published in January 2016, global technology research and advisory company Technavio forecast the global BI market to post a compound annual growth rate (CAGR) of more than 10 percent by 2020. The research study says increasing adoption of data analytics, data availability and implementation of cloud BI as the three major factors driving the market. Second, organizations will continue to need an accurate understanding of past events and current states. That’s why, experts say, that even as organizations increasingly use advanced analytics to forecast the future, they continue to invest in their BI operations. Additionally, organizations will continue to need BI capabilities to help them validate the analyses produced by more advanced analytics functions as they add those capabilities. Moving ahead, Howson says Gartner sees a third wave of disruption on the horizon, something the research firm calls “augmented analytics,” where machine learning is baked into the software and will guide users on their queries into the data. “It will be BI and analytics, and it will be smart,” she says. The combinations included in these software platforms will make each function more powerful individually and more valuable to the businesspeople using them, Gorman says. “Someone will look at reports from, for example, last year’s sales — that’s BI — but they’ll also get predictions about next year’s sales — that’s business analytics — and then add to that a what-if capability: What would happen if we did X instead of Y,” Gorman says, explaining that software makers are moving to develop applications that will provide those functions within a single application rather than delivering them via multiple platforms as is now the case. “Now the system delivers higher-value recommendations. It makes the decision-maker more efficient, more powerful and more accurate,” he adds. And although BI will remain valuable in and of itself, Howson says organizations can’t compete if they’re not moving beyond only BI and adopting advanced analytics as well.